Rochelle Washington is the senior staff attorney in the Practice Management Advisory Service (PMAS) of the D.C. Bar. 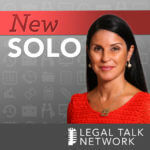 She assists lawyers with starting and managing law firms through sessions, programs, and seminars. Prior to that, Rochelle was a sole practitioner in the areas of family, bankruptcy and personal injury law. She has also served as a volunteer attorney providing pro bono legal services in juvenile proceedings and family cases involving domestic violence. 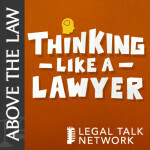 A discussion on why it’s important to promote women’s roles in the legal industry and what specific characteristics women have to improve the tech field.